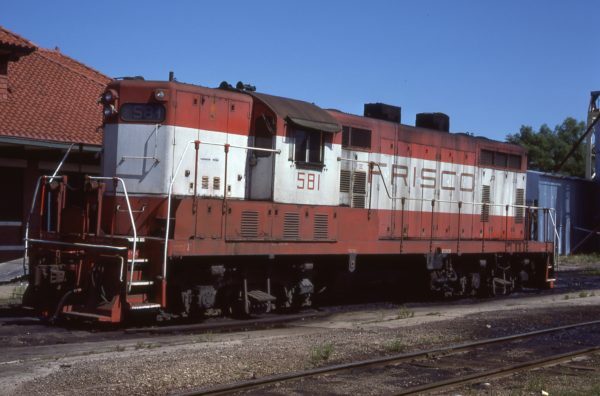 GP7 581 at Paris, Texas on May 21, 1977. 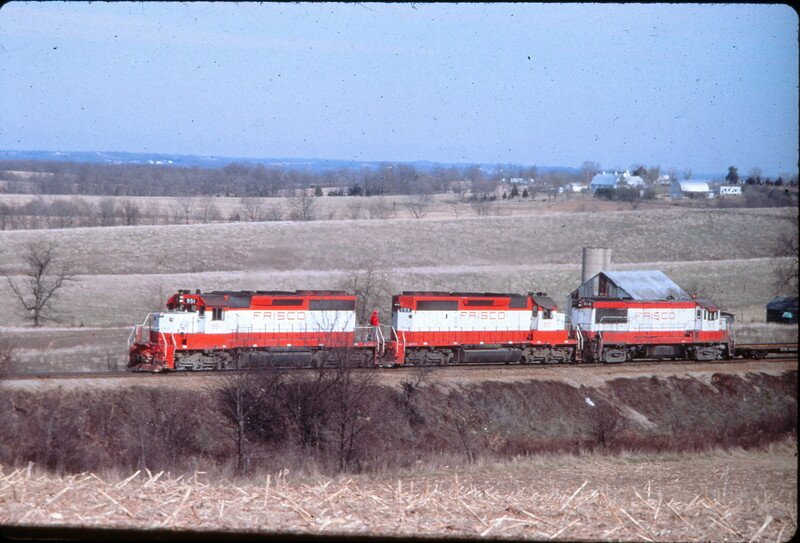 SD40-2s 951, 953, and U25B 814 at Tulsa, Oklahoma in 1979 (EVDA Slides). This slide was dated September 1979 but the lack of foliage on the trees suggests that this date is incorrect.